Getting your body into shape is a great accomplishment; however, you have a lot to do to keep that fitness. That means that even you've reached your goal, you cannot just abandon your diet and workout regime, but should instead keep everything under control. Luckily, here are some simple rules that can successfully help you maintain your body fitness. The good news is that you really don't have to do some complicated exercises in order to stay in shape. Walking doesn't require any special time to execute, which makes it easy to fit into your busy schedule. Pick a spot on the parking lot that is furthest away from where you are going, or park a couple of blocks away to walk more. Replace taking the elevator/escalator with taking the stairs. Take public transport instead of driving yourself. This way, you will have to walk to the station. A lot of our daily chores, such as grass mowing, bathroom cleaning, doing the laundry, and making the bed, consist of exercises. Therefore, if you are trying to keep your body in shape, you may start from doing your chores. If you are super busy and do not have the time to hit the gym, and wonder how to maintain body fitness, you can try these methods. A total of half an hour of exercise a day does the trick, which means that you can split up your daily amount of activity into two to three ''no less than 10 minutes long'' workout sessions. For example, you can try to do some exercises during a long commercial break of your favorite TV show. This will be enough to burn all those extra calories you've consumed. While exercising, it is important that you choose the right kind of exercises that will both save you some precious time and work efficiently. These mostly include core exercises. Squats are great for working out your core, as well as legs, and if you add weights to the mix, they can be great for your arms too. To do them, position your feet so that they are shoulder-width apart, make sure your back is straight, and then start lowering your body by bending your knees as if you are going to sit on a chair. Planks are great as well. To do them, just position your body as you would when doing push-ups, but instead of using your hands to rest your weight on, use your forearms. Stay in this position for as long as you can to work out your core, shoulders, neck, arms, and legs. If you like working out your whole body without doing too many exercises, burpees are for you. You can do them by going from a standing position into a stooping position, then into a push-up position, after which you jump back into a crouch before jumping as high as possible with your arms up. If you are wondering how to maintain body fitness, you must remember that it is necessary to ingest fats so that your body can keep functioning properly. However, not all fats are healthy. While choosing the ones to consume, stay clear from those that are solid at room temperature since they contain saturated and trans-fats that aren't good for your figure and overall health. Instead, go with liquid ones that contain polyunsaturated and monounsaturated fats that keep your heart healthy. Protein is needed so that you can retain your muscle mass and have more energy. 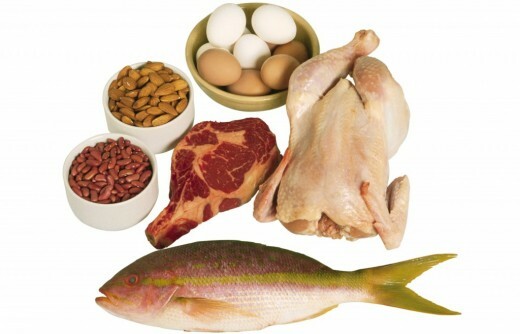 It is best to go for lean proteins that contain little or no unhealthy fats, but complete proteins will do just as fine. Some of the good sources of protein include chicken, turkey, salmon, nuts, peas, and quinoa. These last three don't have as much protein, so to satisfy your need for it, you must eat some meat or soy in case you're a vegetarian. How to maintain body fitness? Follow these tips to eat a properly portioned and balanced meal. Around one-third of your daily food intake should consist of fruits and vegetables; however, you should consume more vegetables and fewer fruits due to the amount of sugar they contain. The next one-third should consist of grains, while the last one should consist of protein and dairy products that are low in fat. Adjust your diet according to the number of calories you need every day, and try eating from a smaller plate as this will give you an illusion that you are eating more. If you are still hungry, wait 15 minutes before getting another portion. Water is needed to keep your body healthy and functioning. 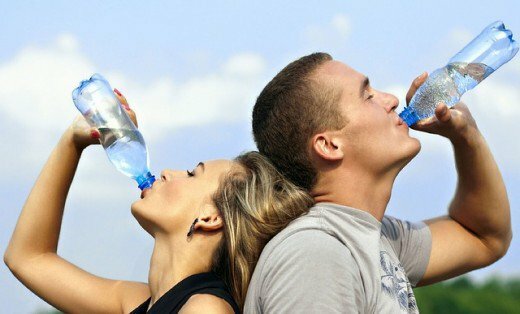 Staying hydrated will also help you stay full longer, so you will be consuming fewer calories. But how can you know whether you are drinking enough water? Well, you can observe the color of your urine, and that should be colorless if you are hydrated.